Massive Indonesian Plantation Fires Create Environmental Catastrophe Spewing Haze & Carbon Emissions | Democracy Now! journalist and activist who has covered Indonesia for decades. Indonesian President Joko Widodo has decided to cut his U.S. trip short due to raging fires that have resulted in haze and toxic fumes covering much of the country as well as parts of Malaysia and Singapore. Many of the fires were illegally set in order to clear land for palm oil and paper plantations. The fires have been described as one of the biggest environmental crimes of the 21st century. According to the World Resource Institute, since September the fires have generated more carbon emissions than the entire U.S. economy. ALLAN NAIRN: Then there’s also the issue of the massive forest fires, as you mentioned. There have been more than 100,000 of them. These are deliberately set. The U.S. says they want—in order to fight climate change, they want to help Indonesia rein in these forest fires. And the U.S. has given some money to send firefighters in to try to douse the flames, to help. And Jokowi is in fact returning to Indonesia now; he’s cutting short his U.S. trip because of the crisis. And he is going to try to manage the evacuation of children and babies from parts of Kalimantan and Sumatra where the smoke is the worst. But in order to actually stop the fire problem, you have to change the way the economy works. And by Indonesia joining the TPP, which the U.S. was urging them to do, Indonesia will be losing much of the capacity they would need to regulate the corporations, because a lot of the burning takes place on corporate plantations to produce palm oil and other things, and the corporations, under TPP, if Indonesia tries to restrict them, will now be able to go to the TPP, say this is a restraint on trade, try to get these regulations knocked down. This setting of fires to clear the underbrush for plantations and farming is actually market-driven, because that’s the cheapest way to do it. It’s much cheaper than going in with machetes and trying to cut away the plants. You set a fire, that’s the cheapest, that’s the most economically efficient. So the only way to rein that in is through government action and regulation, and that’s precisely the kind of thing that the TPP enables corporations to annul. So presidents like Obama and Jokowi, by joining the TPP are, in effect, limiting their own power, their own ability as elected representatives of their people to counteract the power of international corporations. AMY GOODMAN: John Sifton, you just returned from Malaysia, which is also suffering from these fires. Can you amplify this point of Allan Nairn’s? And do you agree that the TPP, in the leaked documents now that show that the—really raise questions about what the environmental protections are in the TPP, could be exacerbating these fires? JOHN SIFTON: Well, a lot of the TPP is still secret. We’ve got to see it. But frankly, it’s such a flawed document from what we’ve seen so far, that really the only choice is to try to kill it in Congress and get the U.S. trade representative to go back and renegotiate at least some of the most loathsome parts of it. Yes, I was in Malaysia. It was devastating. The entire country is living in a haze, at least near Kuala Lumpur and Penang. One of our researchers ended up in the hospital because of it. And that’s just one of my colleagues. Millions of people are living and breathing this air. It’s absolutely true the Trans-Pacific Partnership limits the democratic governance capacities of countries. It puts into corporate hands the rights to stop democratic governments from taking measures to protect its own citizens, on healthcare, on environment, on a host of other issues. That’s why it’s important to try to kill it right now in Congress and get it to be renegotiated. There are some good things in the TPP, a few small good things like labor rights improvements. But stacked up against all the bad, it’s got to go. 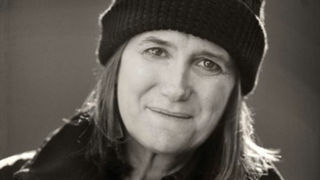 AMY GOODMAN: We’re going to break. John Sifton, thanks so much for being with us, Asia advocacy director for Human Rights Watch. His book, Violence All Around. Allan Nairn, if you could stay with us, a journalist and activist. He’s actually speaking to us from Guatemala City, and the elections just took place on Sunday. We’ll talk about the significance of what has taken place, elections just after the past president of Guatemala has been imprisoned. Then we’ll be joined by the Nobel Prize-winning economist Joe Stiglitz. Stay with us.